The Inc. 5000 list is out and we're thrilled to announce that Spikeball (JuntoII) is ranked #139, Music Dealers (JuntoI) is ranked #1305, and GetMaineLobster (JuntoII) is ranked #2473 on the 2015 list. 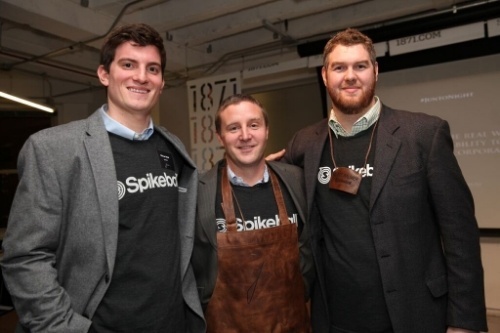 "It's very gratifying to be listed amongst the fastest growing businesses in the country," says Chris Ruder, CEO of Spikeball. "Our entire team has been working incredibly hard. I couldn't be more proud of them and of the overall Spikeball community that has been so critical to our success." In addition to ranking #139 on the complete list, Spikeball ranked #12 for Top Consumer Products & Services Companies and #6 for Top Illinois Companies. Congratulations to our Junto companies!